“Two famous Cuban photographers, Ramses Batista and Alex Castro, talked about their work and took us on a walk through their neighborhood, giving us tips on how to shoot photos that tell a story.” When we read that line in the trip review that Michelle Krapf sent Wendy about her family’s private trip to Cuba, we knew we had to find out more. The trip was a celebration of Michelle’s 65th birthday. And, because Michelle is a loyal user of Wendy’s WOW trip-planning system, she had earned a surprise WOW Moment during the trip. Enter David Lee, Trusted Travel Expert for Cuba on Wendy’s WOW List. 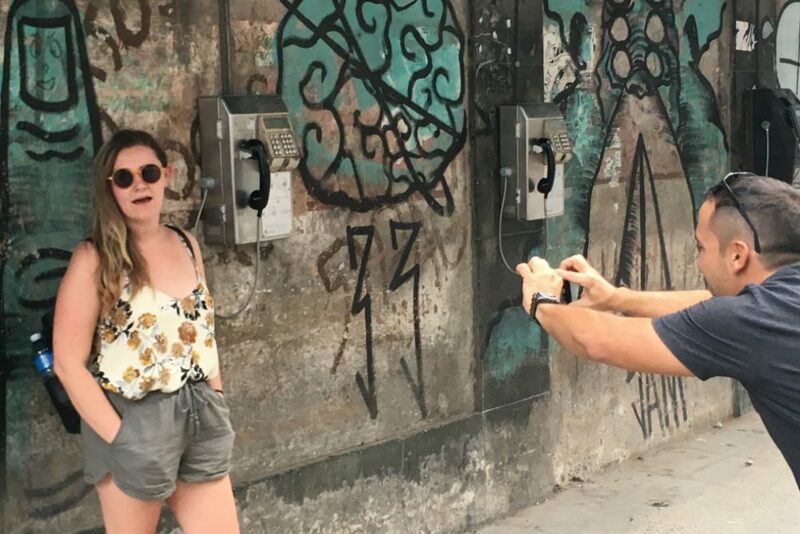 David orchestrated the experience of Cuba that Michelle wanted for her and her husband and grown kids—an experience focused on culture and the arts—and he planned her WOW Moment to perfection. 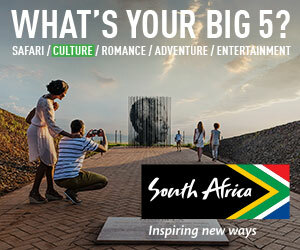 Wendy’s WOW Moments are exclusive insider experiences earned by travelers who request trips through The WOW List. Learn how to get your own WOW Moment here: Wendy Wants To Amp Up Your Trip! WOW Moments vary depending on the location, timing, and logistics of a trip and could be anything from a meeting with a noteworthy local to an unusual activity to a special-access tour. We called Michelle at her home in San Antonio, Texas, to get all the details on her family’s photography-filled day. Q: How was your surprise WOW Moment revealed to you? A: The private guide David chose for us was beyond fabulous. When he asked, “Are you ready for your WOW Moment?” I joked, “We’re going to meet Raul Castro, right”? [Laughs.] He looked at me like “Not quite” and told us that, actually, we were going to meet Alex Castro. I mean, WOW that is so cool! 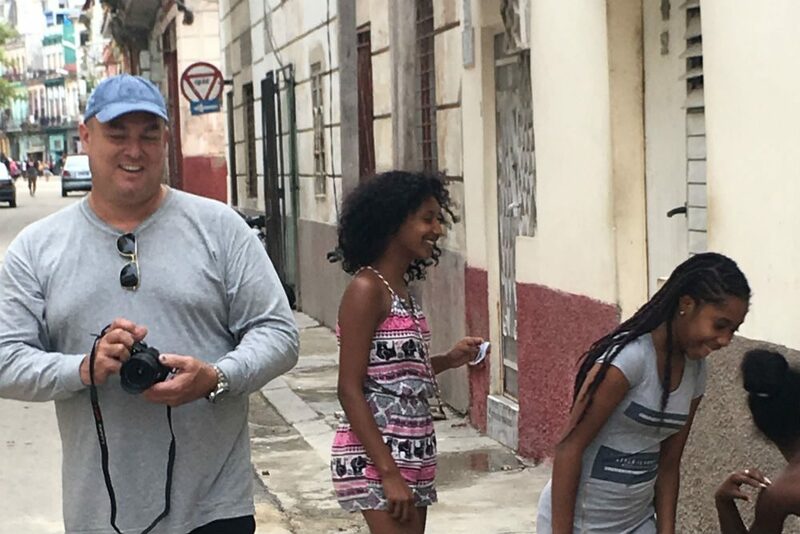 Alex Castro—the son and official photographer of Fidel Castro—led the Krapfs through a photo-taking lesson in his neighborhood. You have to understand that, up until this point, every moment of our trip had been pretty wow. David had done exactly what we wanted. What we wanted is how he wants to do a trip, so it was a very good match. 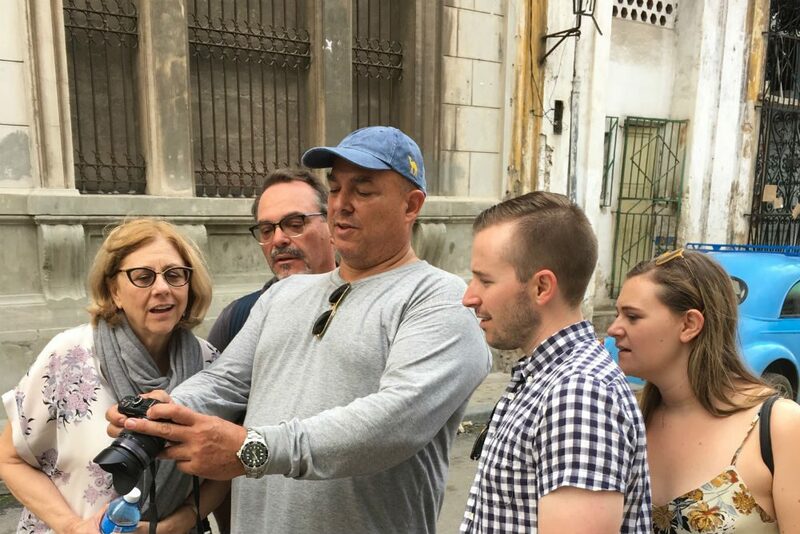 David is passionate and committed to having people experience the cultural and understand Cuba, and that’s what we wanted. Still, we were just blown away when our guide told us where we were going. Q: Where did you go? A: We went to Alex Castro and Ramses Batista’s shared photography studio. They took a building that was of course declining, and it took a while and a lot of resources to get it done. I would describe it as having a warehouse kind of look—it’s very nice—in an area that isn’t the upper-class neighborhood. They took us in, and we all introduced ourselves. Q: What did you do in their studio? A: We did not ask Alex about political things; we discussed his photography. We didn’t get into the politics of Cuba or his dad because we felt we were his guests and were trying to be good American guests. We didn’t realize at the time that he had been the official photographer of Castro. Perhaps we should have, but we were really trying to tread lightly in terms of politics. I’m from San Antonio, so we joked with him that our former mayor, Julián Castro, was possibly going to run for president, and the joke of the day was “A Castro for President in America!” [Laughs.] Alex was warm and kind, and he’s very interested in baseball and the arts and ballet. As much as he did the photography for his father, which was more stills and portraits, where you see him shine is actually his action photos, like the ballerinas and baseball players. Ramses talked about his work and about trying to do photography in Cuba—the scarcity of materials, that kind of thing. Ramses is trying to preserve Cuba’s architecture in photographs because Cuba is crumbling. So he has made it one of his passions to make sure that some of the iconic buildings and architecture are being preserved, if not physically, at least in photographs. Ramses teaches abroad and travels abroad, so his English was perfect, whereas Alex has not traveled abroad, so his English was more difficult. My kids can speak some Spanish, so they spoke a little with him. After giving us a slide show, they took us out through the neighborhood. Ramses takes a portrait the Krapfs’ daughter. Q: What did they show you in the neighborhood? A: They showed us how to take a picture: what’s interesting, how to frame it, how to get those interesting shots. And, in the context of that, we met people in their neighborhood. The moment that really struck me was when Alex took some pictures of teenage, middle-school girls who were on school break. He was talking to them and taking their picture, and then he showed them what he’d done—and you could tell from his interaction with the girls how caring he is. They understood why he was taking their picture and what was special about it. During their photo walk through the photographers’ neighborhood, Alex stopped to take portraits of some teenagers on school break. Q: What struck you about their community? A: These photographers are very philanthropic. They run camps—like workshop camps for photography and art. And our guide didn’t realize it beforehand, but his son has attended one of them! The camps are to promote arts within Cuba. I’m pretty sure there are international students who come too, so they’re bridging cultural gaps. And it’s all free—they sponsor it. So they give back to the community. They could’ve set up their workshop anywhere, but they set it up there and they’re very much involved with the community. Q: Any other takeaways about Cuba? A: Through all those photographs of the people, we learned about the diversity within the Cuban culture. 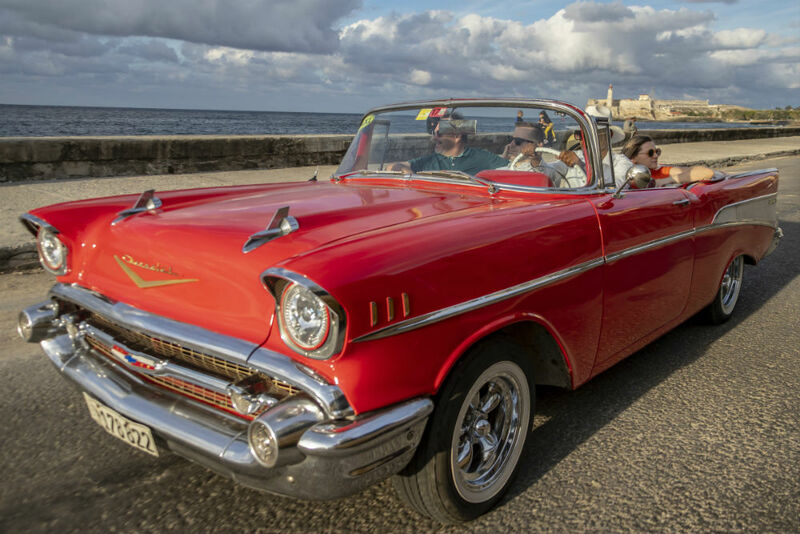 You might think of Cuba as Hispanic, but it’s way more than that. There’s an African influence, and there’s an Asian influence because Asian workers came over to work on the railroad. So that fusion of culture in Cuba is another subject that we learned about through photography. Q: Can you share some other highlights from your trip? A: The very first day, our guide said, “Cuba is not a country to be seen, it’s a country to be experienced.” I agree 100 percent. David set us up with the lead architect of Havana, who gave us a slideshow, and we learned about the history and why the buildings are crumbling. We learned about the geopolitics and the realities. We were able to talk about the embargo and its effects. We also got to meet someone who works in the government—who has not only worked in Cuba but has represented Cuba abroad. 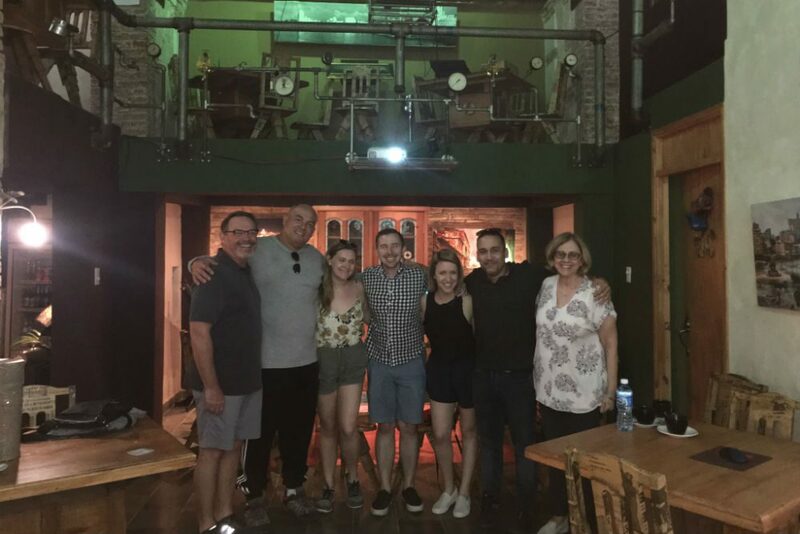 The Krapf family spent time with photographers Alex Castro (second from left) and Ramses Batista (second from right) in their studio. Q: What other advantages did using a WOW List expert bring to your trip? A: I think you’re asking why use David and not Joe Blow? David is very connected to people in Cuba. My daughter’s a kindergarten teacher, and we wanted to learn about Cuban education, so David arranged a fascinating dinner with Julia, a teacher who has taught in Cuban schools. So that was another opportunity to meet people and talk. The people we met were all open, and we were able to ask anything—and we did, as did they. It was a cultural exchange. We had dinners with them, so we were able to have relaxed, informal, fun conversations. It wasn’t forced or stuffy. And everybody we met had a different take on things. It was just fascinating, just fascinating. My son has traveled quite a bit (South America, Europe, Southeast Asia), and he said that this may have been the most memorable trip he’s ever taken. And that was because of the people we met and the connections David has. On every third qualifying trip, Wendy will add to your itinerary a surprise WOW Moment. A WOW Moment is an exclusive insider experience that helps make a trip extraordinary. Each WOW Moment is totally different. They vary depending on a huge range of factors, including the country you’re headed to, the timing of your trip, logistics, availability, and more. You can read a sampling of the more over-the-top WOW Moments (those most conducive to editorial coverage) here. 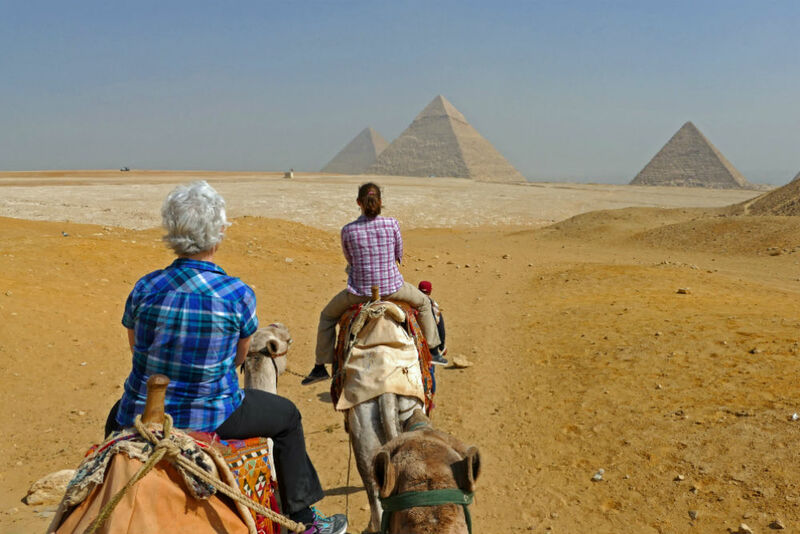 Learn which trips qualify, and how the process works, here: Wendy Wants To Amp Up Your Trip! 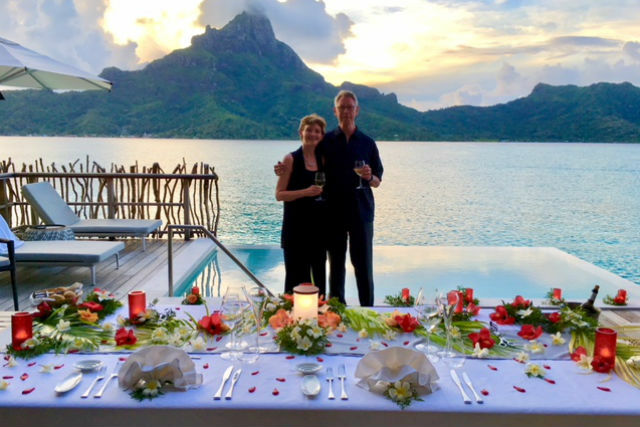 This couple's trip to French Polynesia included something special: a surprise insider experience courtesy of Wendy, which we call a WOW Moment. For this surprise WOW Moment, a family of frequent travelers got to visit the Egyptian tomb of Nefertari, the wife of Ramesses II.